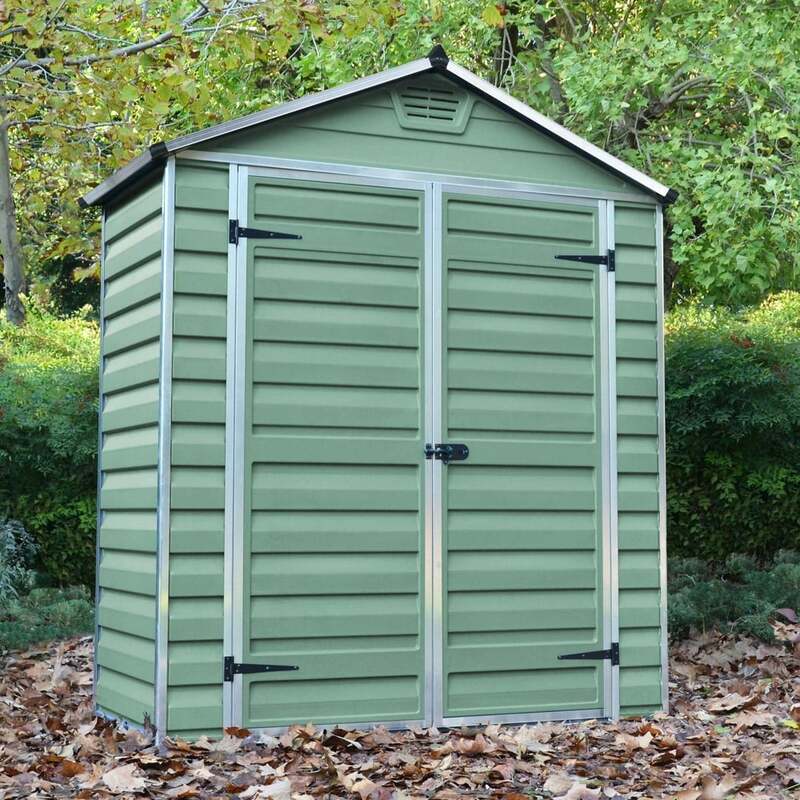 Mercia 3 x 6 Green Apex Plastic Shed: The 3 x 6 Mercia plastic shed is ideal for smaller gardens for storing all your garden essentials in this strong outdoor building. The Mercia garden shed is built using durable polycarbonate plastic sheets designed to withstand adverse weather conditions and rust free aluminium slide framing to provide an extra firm structure. The 3 x 6 plastic shed features a translucent skylight polycarbonate roof to allow light to penetrate through to light up the inside of the building while remaining a non-transparent exterior for security. Please note - Images are dressed and painted for display purposes only. All listed metric dimensions listed below include the roof overhang.